NOW THAT YOU have the ability to access WhatsApp on both your PC and web browser, you may be wondering if there are any other quick methods for accessing conversations. If you’re on Android, the good news is you can and it’s something you would normally associate with web pages. You can add shortcuts for individual chats and place them on your homepage. It’s handy if you frequently open the one group or individual chat and makes things that little bit more convenient. The easiest way is to hold down on a conversation on WhatsApp and once it’s selected, tap options (the top right-hand corner) and simply choose Add Chat Shortcut from the list. Alternatively, you can go into a specific chat and go to Options > More > Add shortcut. Either way, you get a quick shortcut to that specific conversation through your home screen. The option in chat list (left) and specific chats (right). Alternatively, you can create a widget which presents some of the latest conversations for you to see. How many you see will depend on how large you make the widget on your home screen but remember it will be presented the same way as the chat screen (it will only display the beginning part of the latest message. 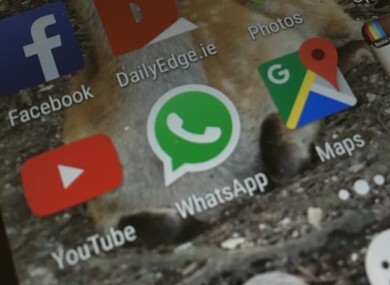 Email “Android users, this is the quickest way to access your important WhatsApp chats”. Feedback on “Android users, this is the quickest way to access your important WhatsApp chats”.